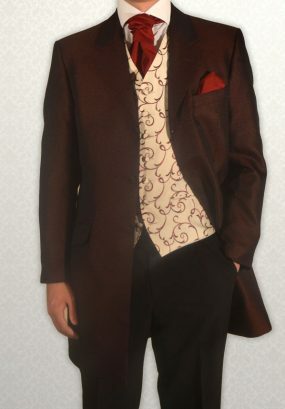 Burgundy Scroll lightweight three-quarter Prince Edward Frock Coat. 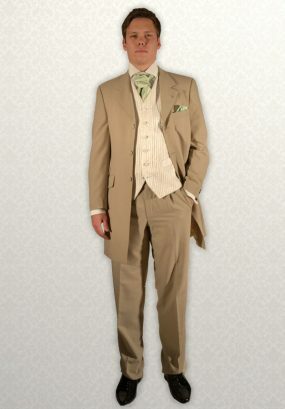 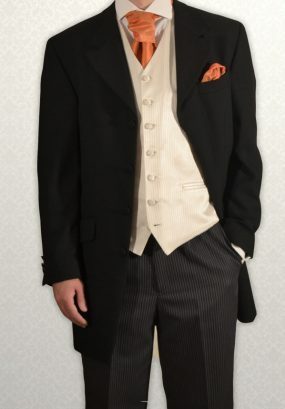 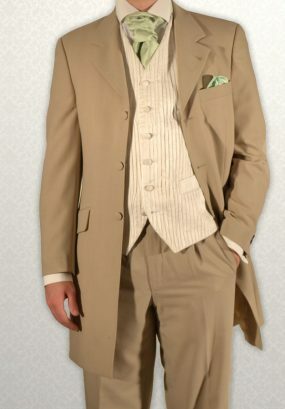 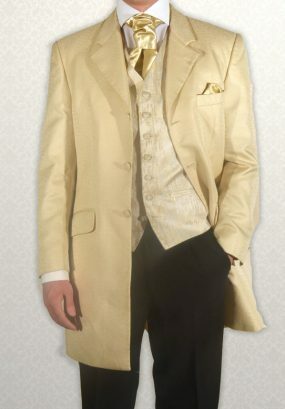 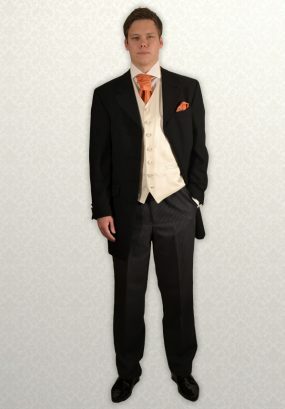 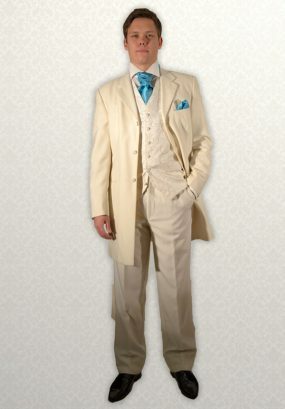 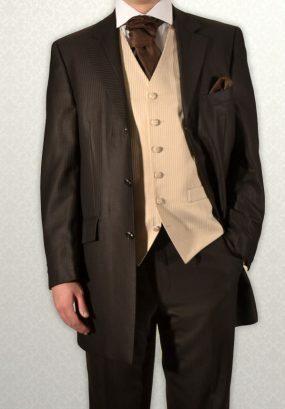 Brown Masterhand lightweight self-stripe Three-Quarter Prince Edward Frock Coat. 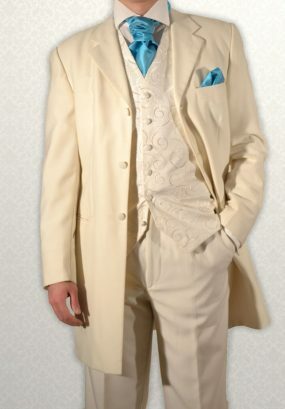 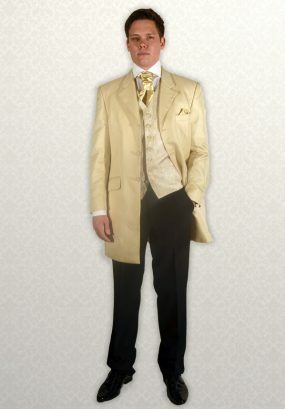 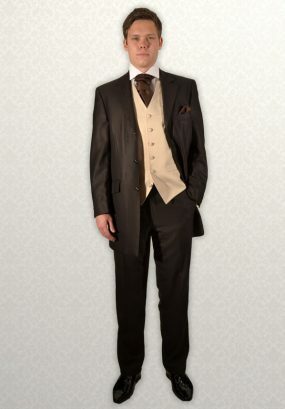 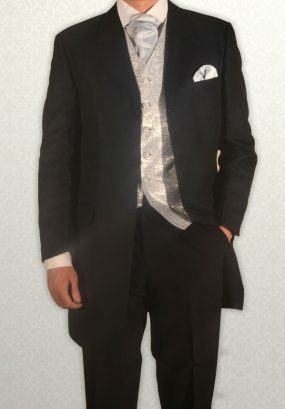 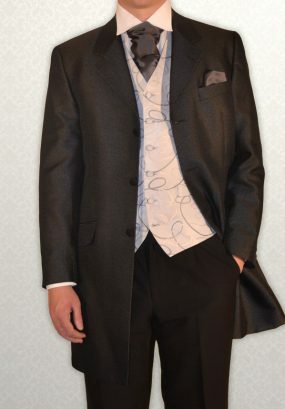 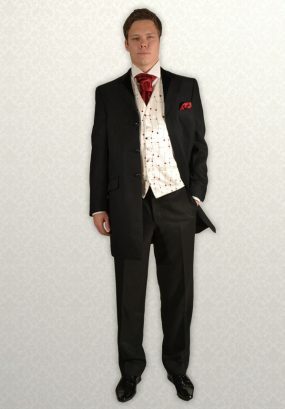 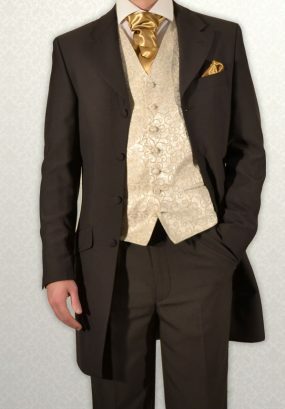 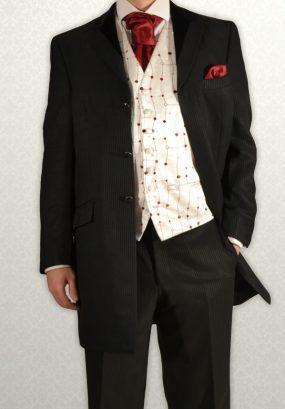 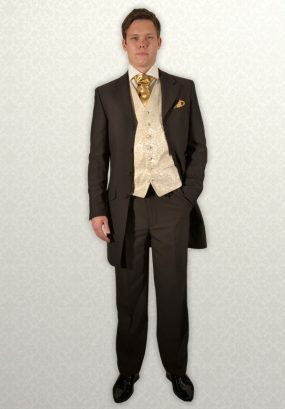 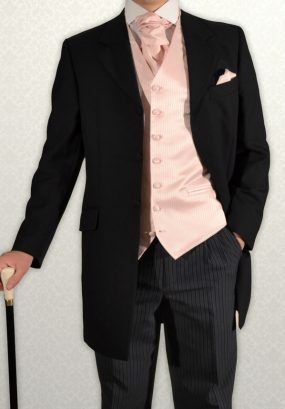 Black Masterhand lightweight Three-Quarter Prince Edward Frock Coat with velvet lapel.